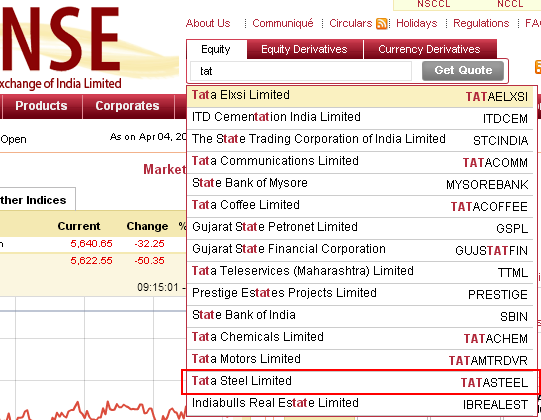 Let's see how to find Tata Steel's historical data on NSE. 3.) 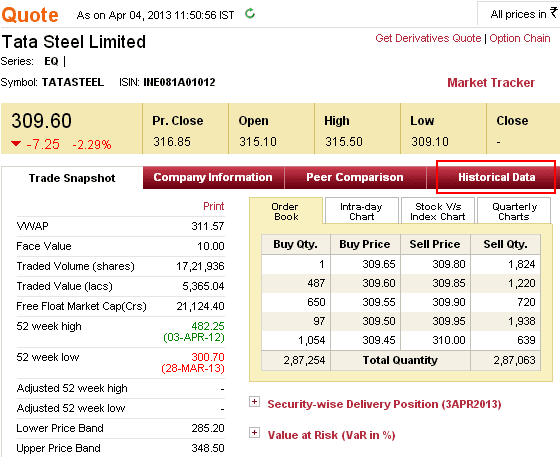 Next is Tata Steel's quotes page. 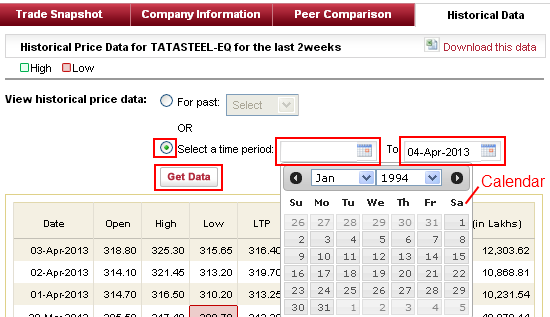 Click “Historical Data” (marked with red). Click the radio button next to “Select a time period” - it must be selected as it looks like on the image below. Set date in the first box to as early as possible, eg. : 01-01-1994. 5.) Page may update slowly after clicking “Get Data”, please be patient. 6.) Click “Download this data” when page is loaded. If MS Excel (or similar software, like Libre Office) is opening market data instead of simply downloading it, that causes the change of data format. This may lead to problems like softwares do not recognize data etc., so follow this page's description in this case, please. 7.) Rename data file according to the name of the stock – eg. : tata_steel.csv in this case, because data file is named “data.csv” by default which may be confusing when multiple stock's data is downloaded. 8.) Market data can be analyzed with various softwares, eg. : using this or this software.